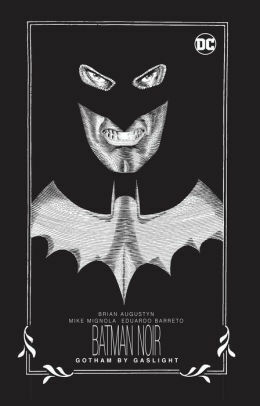 Now presented in stark black-and-white pencils and inks, it's Batman vs. Jack the Ripper in Victorian-era London in this legendary graphic novel tale. In Victorian-era Gotham City, Bruce Wayne is operating as the bat-garbed vigilante, the Batman, who is feared by the guilty and the innocent alike. One night Batman saves a wealthy couple from being robbed by three orphans (Dickie, Jason and Timmy) and defeats their handler, Big Bill Dust. At the same time, Ivy, an orphan turned exotic dancer and prostitute, becomes the latest victim of Jack the Ripper. The murders keep happening night after night. Will Bruce Wayne be able to find and defeat Jack the Ripper? Find out here in Batman Noir: Gotham by Gaslight. The original hit story of Gotham by Gaslight is now presented in black and white! Collects the complete story of Gotham by Gaslight.